Confession: I've had these Kiss products for... A while. A while longer than I'd like to admit, but the thing is, I lost them. Now, I am not the type to loose things, anything really. I'm the person who can have a total mess yet still know where everything is. I have only ever lost two things in my house- a bottle of Butter London All Hail The Queen, which still gets me pretty enraged (where did it go?!) and these. The upside is that I found one of the two! Last week while finally unpacking a few boxes from the back of my closet, I opened a bag and there they were. While my bottle of AHTQ may be gone forever, I do have a pretty great selection of Kiss nail products including Kiss Nail Dress, Gel Dress, and Gel Fantasy Nails. Read on! Kiss offers a pretty wide selection of nail products, but I tend to like the nail wraps/stickers the best. They're usually pretty quick to apply- the more you apply them, the faster you get- and require virtually no drying time other than a coat of top coat to seal everything. 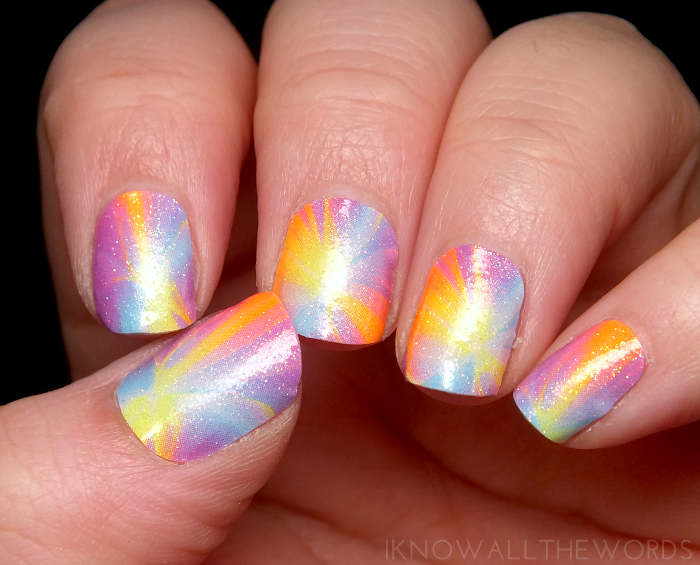 Plus, you get amazing looking nail art without any of the work. 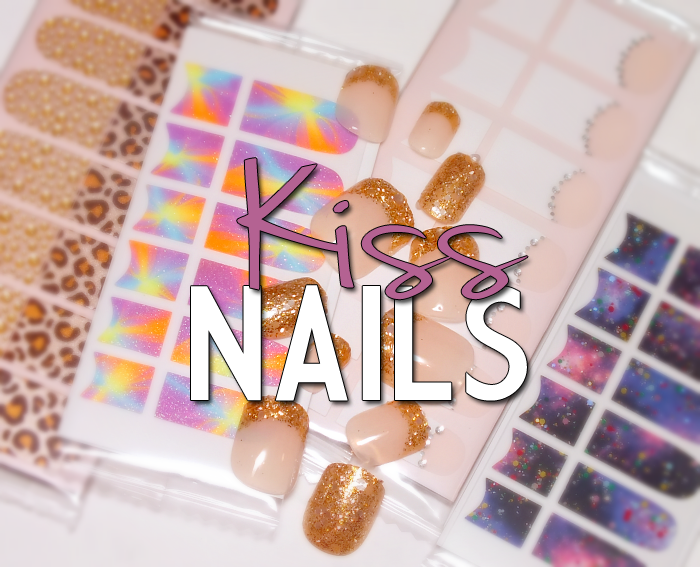 Kiss Nail Dress is the more original type nail wrap, as you simply apply it bare, clean nails, file the edge, and top coat, but Kiss does give their wraps a bit of a twist as they offer both Full & French and Mix It Up! designs. Full & French are just that, designs that you can wear as both full nail coverage or just tips (aka French). Mix It Up! styles come with two patterns that you can, well, mix up or wear as two separate manicures. I find these typically wear pretty well on me- about 4-6 days with top coat. I never get the full ten days, but I don't find many things last well on my nails. Should you want extended wear time, Kiss Gel Dress are a great option. Gel Dress apply the same as any wrap, but after applying them you seal them with gel top coat and cure them under LED/UV light as you would any other gel manicure. Of course, you don't have to; you can totally wear theses as is with a coat of your regular topcoat. I ended up wearing Debutante, a bright galaxy like swirl with fine shimmer, without gel top coat as I didn't think I'd have time to fully enjoy them as gels. I didn't have the best experience with them, so I do recommend curing them if you can. I found the wraps weren't very sticky when I applied them and began to lift in odd places (like the sides and at the cuticle) after just a few days wear. While they didn't wear long, I LOVE the pattern and the fact that the sizes were perfect for my nails- I didn't have to trim any down! If wraps aren't your thing, or are looking for more of a nail shape/length change, Kiss Gel Fantasy Nails are for you. 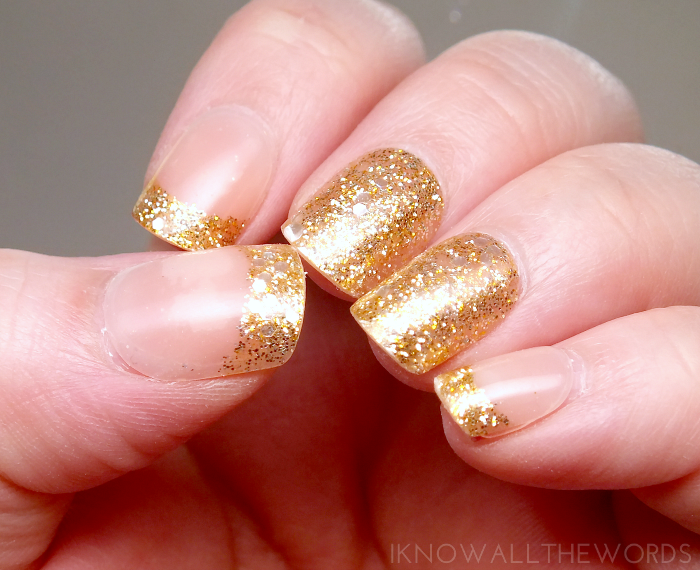 The nails offer a gel shine and the option to either glue them on or use stick on adhesive. The glue is the longest lasting option, but it also requires more effort when it comes to removal, so I opted to use the adhesive. The adhesive comes in a flat little package that is clearly numbered so you can easily match the right piece to the matching nail. The process was very easy, but I did find I had to be careful about air bubbles as the design I used- Rock Candy- has a sheer area where they can be visible. Having used Kiss ImPress Press On Nails, I expected these to wear pretty well with the adhesive, but I thought wrong. After applying these mid afternoon, I started to loose nails just before I went to bed. Insert frowny face here. The instructions suggest avoiding contact with water for at least an hour after applying the nails, which I did, but the adhesion just didn't last with the tabs. While I didn't wear them long, I was impressed with how great these look on. They're incredibly shiny and the glitter is completely smooth. The Rock Candy design is mix and match in style, as it has some full glitter nails and some with glittery tips on a sheer nail. They're what Kiss calls 'Very Short' but I still find some nails to be just a bit too long and too perfect so I clip them down and file all nails for a more natural look. I love that you can easily clip or file these without ruining them! The ability to customize these is a major plus. Overall, Kiss offers some amazing designs in just about every format you could want. I prefer the wraps most as I find faux nails don't fit my lifestyle/style as much- oh, and you so can't get a good scratch with them on.... Do you wear faux nails or wraps? Tried any of these? Ever lost anything in your own house?